We were waiting for the hammer to drop, but it never came. Mike Tindall is not convinced about Ireland, their tactics or their chances at the World Cup. 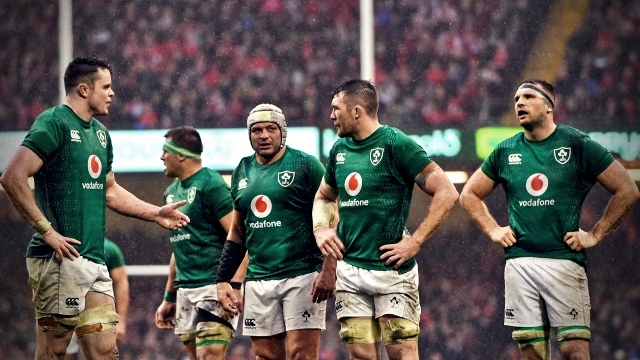 When the former England captain voiced that opinion, in November last year, Joe Schmidt's team were preparing to face the All Blacks after winning a Guinness Six Nations Grand Slam and having returned from winning a Test Series in Australia. 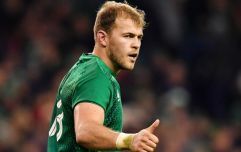 Ireland then defeated the world champion All Blacks for the second time in two years and AB's coach Steve Hansen was open to suggestions that they were the best team on the planet. On the latest episode of JOE UK's House of Rugby, Tindall joined host Alex Payne and James Haskell to look back on a final Six Nations weekend that saw Wales finish as Grand Slam champs ahead of England and a badly underperforming Ireland. "The way they break down teams in terms of where they are going to attack... and stick to their game-plan on match-day gets them those results. "I always believe a team are going to beat them, which is weird because they don't! They are just great at getting results. Now, do they always play out of their skin? No, but they get the job done." "If you flash back to the bits I did say. I said they have the best pack in world rugby, at the moment. I said they are exceptional at winning games; they've won 24 out of 27. "I just want to see Stockdale, and that try he scored against New Zealand, I'd like to see him having the ball a little more... and for them not to feel so controlled. The reason I said what I did [about the World Cup] was because in 2015, they played very similar rugby - not as well as they are playing at the moment - and then they got a few key injuries and lost to Argentina. "I worry that if they play that way, and in a short format like a World Cup - where you are having to back it up week-in, week-out, that if they got injuries they wouldn't be able to do it." "There is no doubt, going into the weekend, that Ireland are favourites and I'd be quite happy to say that. But I do think that Ireland can improve in certain areas. 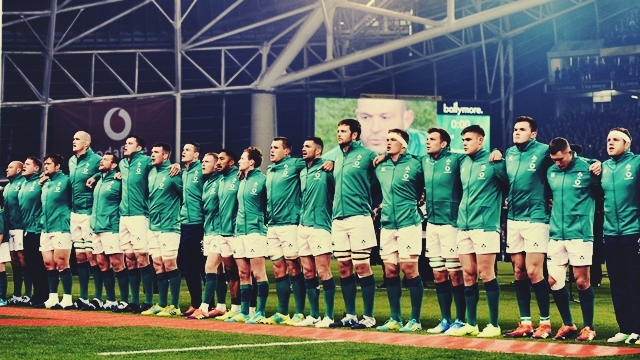 Joe Schmidt knows that [too] and he'll keep doing that. "There's a lot more people than me here. I back myself, but there's a lot of f***ing people!" On Saturday, in Cardiff, Ireland were badly beaten for the second time in the space of seven weeks. They won three games on the spin after losing their opener 30-22 to England but Wales had their number, at the Principality Stadium, and won 25-7. 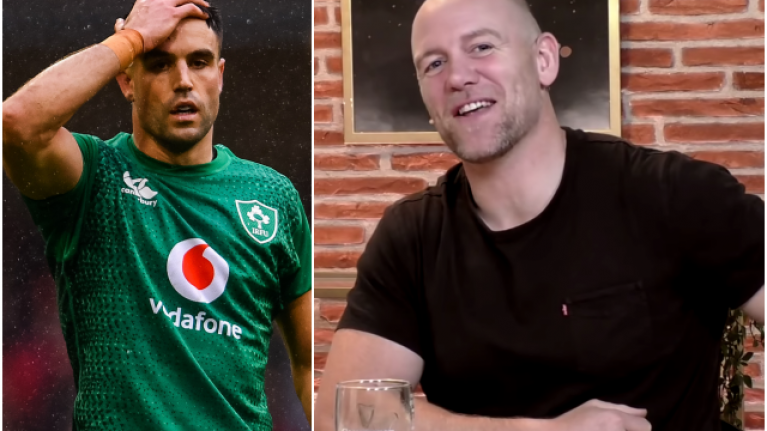 On the latest House of Rugby show, Payne offered Tindall the opportunity to air some 'I told you so' comments but the former England captain rose above it. Instead, he offered some words of hope for Irish supporters. "You've got to give credit to Wales and what they did, and how they approached that game. But, if I was Ireland, I would have taken Conor Murray and Johnny Sexton off after 50 minutes. "No [I don't feel vindicated] at all because I was listening to something on the way in and now everyone has completely written off Ireland. It's ridiculous! "Of course they can [fix it for the World Cup]. They won 23 out of 26 before the Six Nations. They're not shot by any means. They'll come back, without a doubt, and I still fancy them to beat anyone. "I don't want to be vindicated," Tindall added. "I'd like them to go away and actually develop their game a little bit and come back better." Episode 23 sees Alex Payne joined by James Haskell, Mike Tindall and James' father-in-law Richard Madeley to discuss awkward kitchen conversations, lost underwear and the finale of the 2019 Guinness Six Nations.